We’re proud of our staff’s expertise and want to make sure you didn’t miss these white papers in 2018! This is a project that has been years in the making. Latitude is PFS Clinical’s proprietary tracking system. Clients can easily make project requests, see project and service status updates in real-time, and track turnaround in accordance with their institutional needs. Included as part of their PFS Clinical agreement, Latitude is accessible via a web browser and it can be tailored to decentralize access for clients’ key institutional stakeholders. In 2019, we are planning additional investments to enhance functionality as we continue to expand our ability to satisfy the reporting and business needs of our client users. 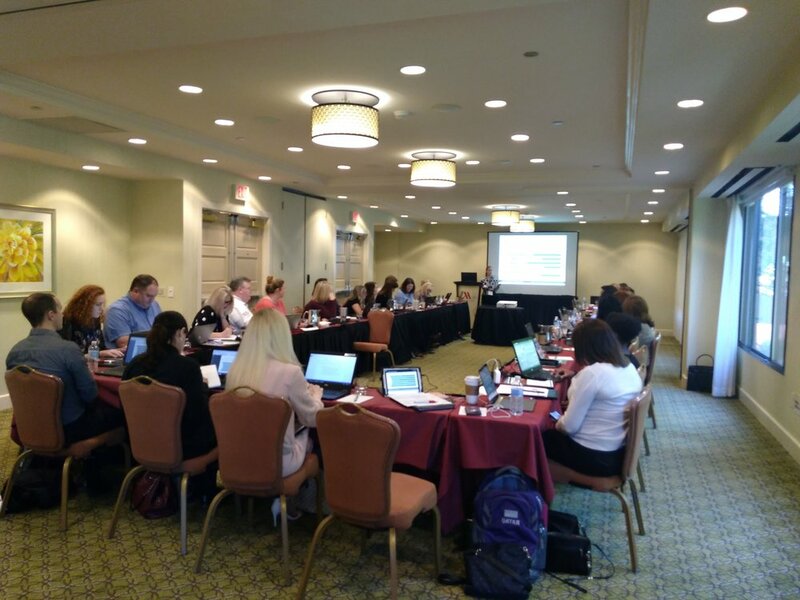 Our workshop crew traveled south to Miami and west Scottsdale to host our research administration trainings. The workshops had a packed agenda this year - a day and a half of coverage analysis, budget, and contract training. We loved the interactive training groups at this year's workshops; the attendees had a range of experience in the industry from brand new in their role to years of experience. The broad range of experiences led to great discussions, tips, and tricks for the attendees. Hot topics included non-qualifying trials, hiring and training for research administrative staff, CTMS, and contract negotiation tips. Besides leaving with new research administration knowledge, attendees also left with new contacts who can help the next time they are feeling stuck or run into a tricky situation! A bonus to this year's workshops - great views of Biscayne Bay and a sunrise hike at the McDowell Sonoran Preserve. After the successes of the workshops in 2018, we can’t wait for our first workshop of 2019, which will take place in Nashville, TN. Whether it’s the research administration workshops we host, or other conferences we attend, there is always something to be gained from getting together with peers in this industry. We take conferences as opportunities to learn something new from others in our business. We’re still the same PFS Clinical you’ve always known, but we wanted to celebrate the creation of our proprietary tool with a fresh look. Check out our website to see the new look. We’re looking forward to another great year at PFS Clinical. As in every year, we have plenty of events scheduled; webinars, conferences, and workshops and if you’re curious about what we will be doing and when, feel free to check out the “Events” page on our website.